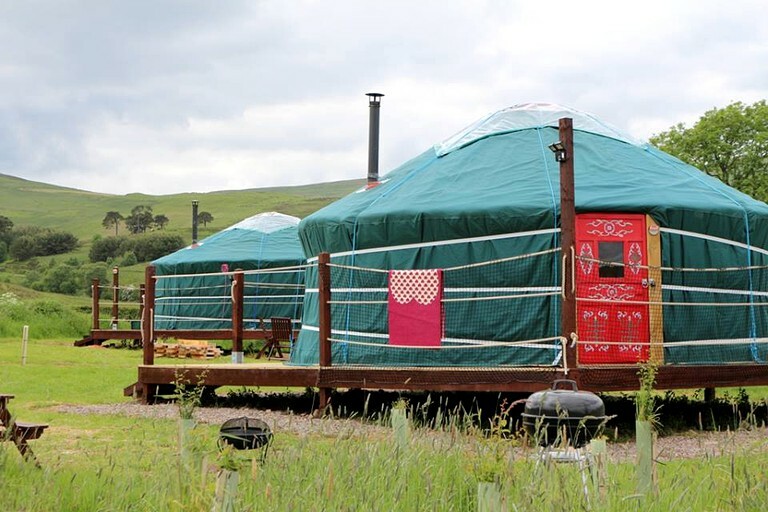 There are two different yurts available for guests to choose from. 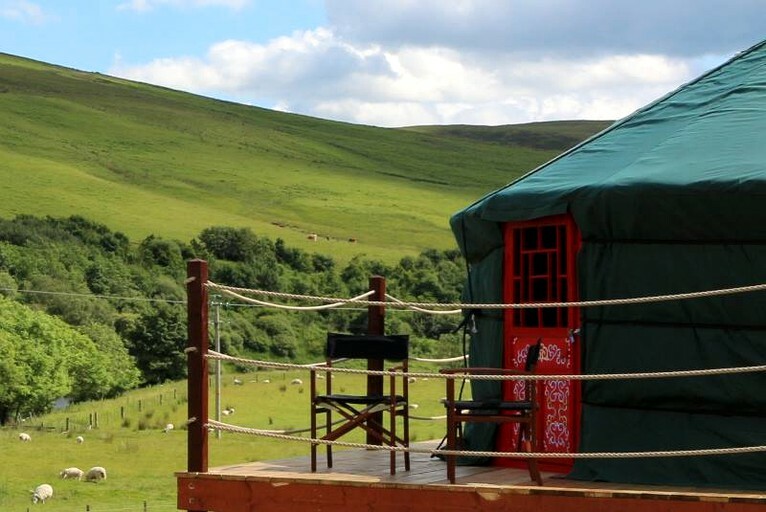 Each yurt has its own private outside sitting area and is situated on a raised deck that boasts panoramic views of the pristine surrounding countryside. The sitting area has a picnic table, a barbecue grill for outdoor entertaining, as well as a fire pit for chillier nights. 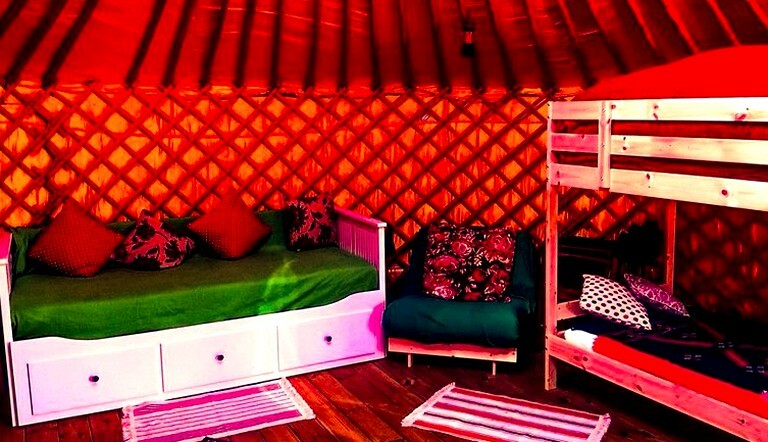 These 19-foot yurts can each accommodate up to six guests, are tastefully decorated with colorful rugs, and are equipped with a wood-burning stove to keep the yurt warm and cozy. The yurts also have a gas stove and a grill in the kitchen area, as well as a table and chairs, pots and pans, plates, bowls, cutlery, and a cooler. 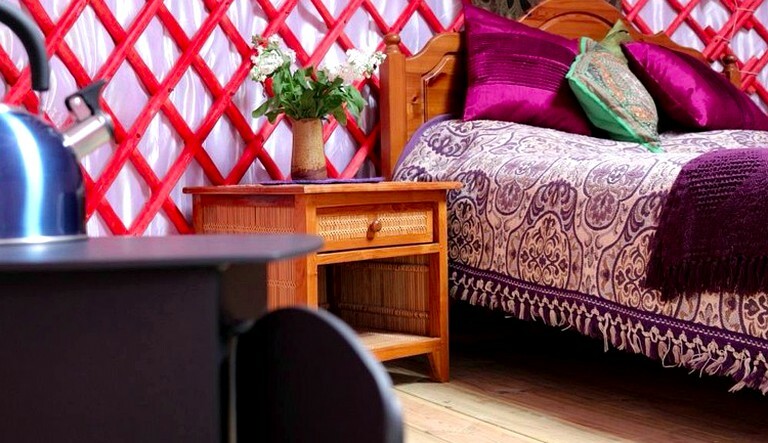 Yurt One overlooks the river and is equipped with a double-sized bed and a daybed that can be used as a sofa or converted into a king-sized bed. There are also two single futons that can be used to accommodate children. 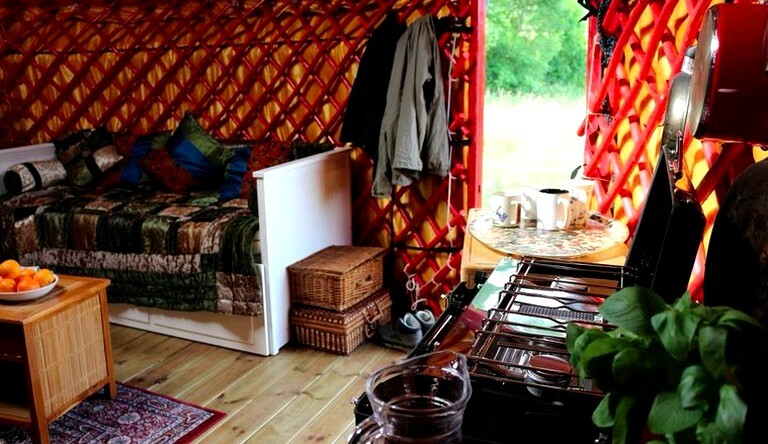 The yurt’s interior woodwork is red with white accents. This yurt is perfect for a romantic couples retreat but can easily accommodate families of up to six guests as well. Guests will have access to a common shower and toilet area, which is only a short walk from the yurts. This area is kept very clean and tidy, and the showers are equipped with hot water. 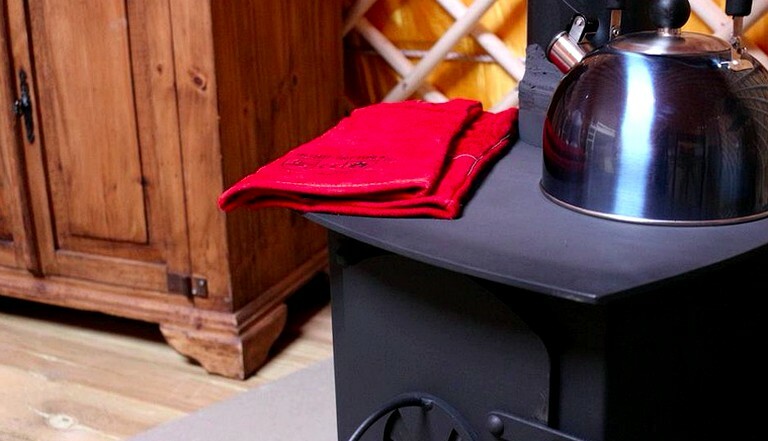 There is also a common room on the glamping site with a kettle, microwave, Wi-Fi, as well as books and board games that are free for guests to use. While luxury camping in Scotland, guests can expect relaxing days with views of incredible natural scenery. Guests can easily spend the day playing in the nearby stream with the kids while watching the wildlife wander by. There are plenty of walks to be discovered and the roads are perfect for cycling, with routes varying for all levels and abilities. Guests can also go fishing, horseback riding, or kayaking nearby, with some great mountain biking trails not far away at Glentress and Innerleithen. The remote location of these yurts allows for an unbelievable stargazing experience on a clear night. A 30-40 minute drive will take glampers to a variety of historic houses, castles and ruined abbeys, as well as several very picturesque and quality golf course. Also nearby are the pretty tourist towns of Peebles , Kelso, and Melrose. Glampers can also find llama trekking, tree-top adventures at Go-Ape, and other outdoor activities not too far away, and a trip into Edinburgh is also easily manageable.